1. The Improver: If you operate your business predominately in the improver mode, you are focused on using your company as a means to improve the world. Your overarching motto is: morally correct companies will be rewarded working on a noble cause. Improvers have an unwavering ability to run their business with high integrity and ethics. Entrepreneur example: Anita Roddick, Founder of The Body Shop. 2. The Advisor: This business personality type will provide an extremely high level of assistance and advice to customers. The advisor’s motto is: the customer is right and we must do everything to please them. Companies built by advisors become customer focused. Personality Alert: Advisors can become totally focused on the needs of their business and customers that they may ignore their own needs and ultimately burn out. Entrepreneur example: John W. Nordstrom, Founder Nordstrom. Personality Alert: Can be too competitive and workaholics. Entrepreneur example: Donald Trump, CEO of Trump Hotels & Casino Resorts. 4. The Artist: This business personality is the reserved but highly creative type. Often found in businesses demanding creativity such as web design and ad agencies. As an artist type you’ll tend to build your business around the unique creativity and talents you have. Personality Alert: You may be overly sensitive to your customer’s responses even if the feedback is constructive. Let go the negative self-image. 5. The Visionary: A business built by a Visionary will often be based on the future vision and thoughts of the founder. You will have a high degree of curiosity to understand the world around you and will set-up plans to avoid the landmines. Personality Alert: Visionaries can be too focused on the dream with little focus on reality. Action must precede vision. Entrepreneurial example: Bill Gates, Founder of MicroSoft Inc.
6. The Analyst: If you run a business as an Analyst, your company is focus on fixing problems in a systematic way. Often the basis for science, engineering or computer firms, Analyst companies excel at problem solving. Entrepreneurial example: Intel Founder, Gordon Moore. 7. The Fireball: A business owned and operated by a Fireball is full of life, energy and optimism. Your company is life-energizing and makes customers feel the company has a get it done attitude in a fun playful manner. Personality Alert: You may over commit your teams and act to impulsively. Balance your impulsiveness with business planning. Entrepreneurial example: Malcolm Forbes, Publisher, Forbes Magazine. 8. The Hero: You have an incredible will and ability to lead the world and your business through any challenge. You are the essence of entrepreneurship and can assemble great companies. Personality Alert: Over promising and using force full tactics to get your way will not work long term. To be successful, trust your leadership skills to help others find their way. Entrepreneurial example: Jack Welch, CEO GE. 9. The Healer: If you are a Healer, you provide nurturing and harmony to your business. You have an uncanny ability to survive and persist with an inner calm. Entrepreneurial example: Ben Cohen, Co-Founder Of Ben & Jerry’s Ice Cream. Each business personality type can succeed in the business environment if you stay true to your character. Knowing firmly what your strong traits are can act as a compass for your small business. If you are building a team, this insight is invaluable. For the solo business owners, understand that you may need outside help to balance your business personality. 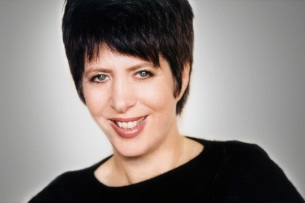 At the age of five, Diane Warren was diagnosed with tone deafness. That proved to be a little off the mark. One of Hollywood’s most prolific and successful songwriters, she has crafted hits for the likes of Bon Jovi, Cher, Whitney Houston, LeAnn Rimes, Toni Braxton, Mary J. Blige, Eric Clapton and Aerosmith, among countless others. As an alienated Jewish kid growing up in Van Nuys, California, Warren set her sights on a songwriting career when she was 14, and persisted with the support of her father, to whom she paid tribute with the Celine Dion smash hit “Because You Loved Me.” A Grammy Award winner and six-time Oscar nominee, Warren is uncompromising as both an artist and a businesswoman — as she proved when she started her own publishing company to maintain control over her songs.